The men in my family can't seem to find the clothes basket or the trash can. When I wake up in the morning most of my first hour of the day is spent picking up dirty clothes from the living room and bedroom floors. I have tried training them and it lasts for about a week. Then they are back to leaving things throughout the house. It's almost like they are Hansel and Gretel and need a trail to find their way between the bathroom and their bedrooms. My husband isn't much better than my kids. He normally keeps his clothes in one pile, but he has pairs and pairs of shoes all over the house. Seriously the man changes his shoes 3-4 times a day. I tried charts to modify their behavior and honestly the charts became more of a chore than picking up the mess. Maybe I need to train myself to not pick up after them so they start doing it themselves. Realistically though I can only go a couple of hours before it would start to drive me nuts. My kids run in the house every afternoon and ask what I made for their after school snack. They are always starving after school and will literally eat everything in the cupboard if I gave them the chance. I try to make foods that are easy to hold such as muffins, crackers, etc so they can do their homework while eating. Having a baking mix made up ahead of time is a nice way to save time, making it so I only have to spend less than a half an hour in the kitchen. 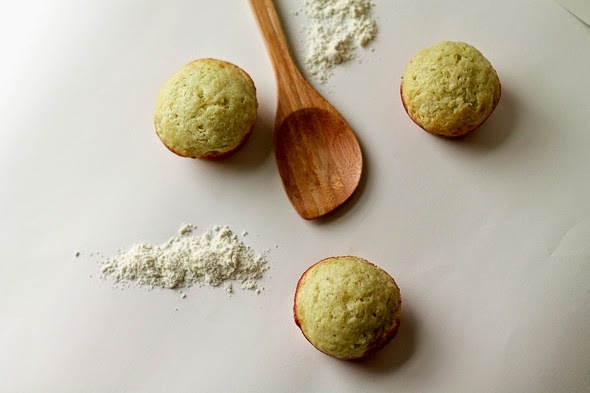 This recipe for Banana Muffins is made using a Homemade Baking Mix that can also be used to make scones and biscuits (recipes to come). Combine sugar, baking powder, salt, and flour. Stir in butter, making sure there aren't any large clumps. Store in fridge for up to a month, or in the freezer for up to 3 months. Combine baking mix, sugar and cinnamon. Break up any large butter clumps with your fingers. In another bowl combine milk, eggs, and bananas. 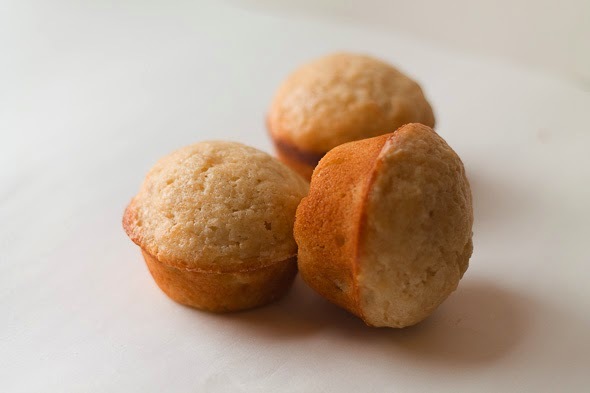 Divide batter into a greased (or paper lined) 12 muffin cup muffin pan. Fill each cup about 3/4 of the way full. Sprinkle each cup with granulated sugar. Bake muffins in a pre-heated 350 degree oven for 22-25 minutes. Let muffins cool for 5 minutes before removing from pan. This is a very versatile baking mix. You can also use it to make scones, biscuits, and pancakes. 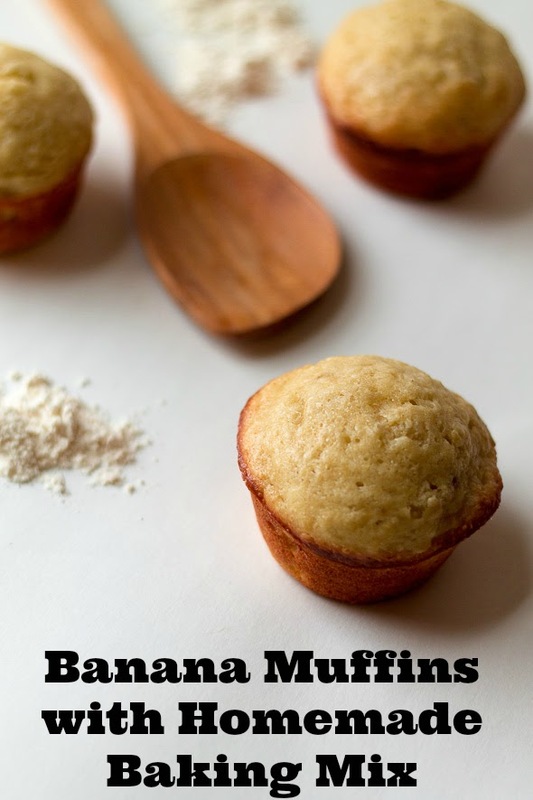 If you want to add a little chocolate to your banana muffins this recipe would work well with dark chocolate chunks or with a few tablespoons of peanut butter. The first thing I make after breakfast is separated cllothes and look the dirty clothes and yeah in the living too and some shoes under the table! Omy! These banana muffins look so good Ann! I need at least 3 for my breakfast, Ann. They look very tempting! Homemade Baking Mix is such a handy thing! I am sure these muffins were a great after school treat! They were a great after school snack! Oh , I love anything with bananas. Cakes, muffins, pies... Im sure your boys love your muffins. Have a good day! I'm a big fan of bananas too, I put one in my smoothie every morning! Mine can't find the trash, either. There was an empty TP roll sitting on my bathroom floor for about 2 weeks. I refused to pick it up because I wanted to see how long they would go before anyone actually threw it away. I meant the males in my house, not males in general :) Opps! I'll take a half dozen. Love banana bread, muffins, etc. Believe me, I get blasted if I leave the TP roll empty on the rack. I'm a big fan of banana in things as well, yum! This is my favorite kind of muffin. Blueberry runs a close second. My husband can't hit a laundry basket to save his life, and he's far worse than the kids about putting things away. They sound delicious. Homemade baking mix sounds like a great idea. I'm a big fan of Bisquick but if I can make my own, so much the better. The baking mix is really nice, It saves so much time!